This is one of the first times I really really wish I were good at photography because I don't have pics to do it justice....at all. You just don't grasp how our yard all of a sudden seems 3x bigger. 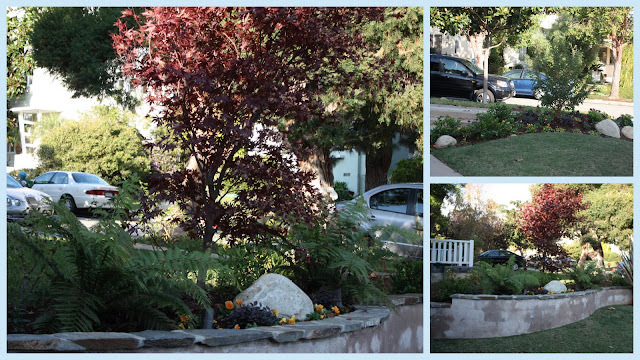 Or how it feels like we found a teeny piece of Hawaii and went ahead and uprooted it right to our backyard. And I guess on that note we uprooted a teeny piece of BYU also? Or how the fire pit and built in BBQ completes the Southern Cal feel. Do note that I finally got my lime tree and palm trees I've been dreamin about. That's all I really asked for. Melissa, if you're reading this you go on ahead and give your husband a slap on the booty for a job well done. His work even created a jealous lover- I've already gotten the "break-up" letter from our gardner, saying he didn't feel comfortable "maintaining someone else's garden." Interesante. Let it begin...s'mores, basketball, grilling, fires....that's all you need to turn December into endless summer nights. 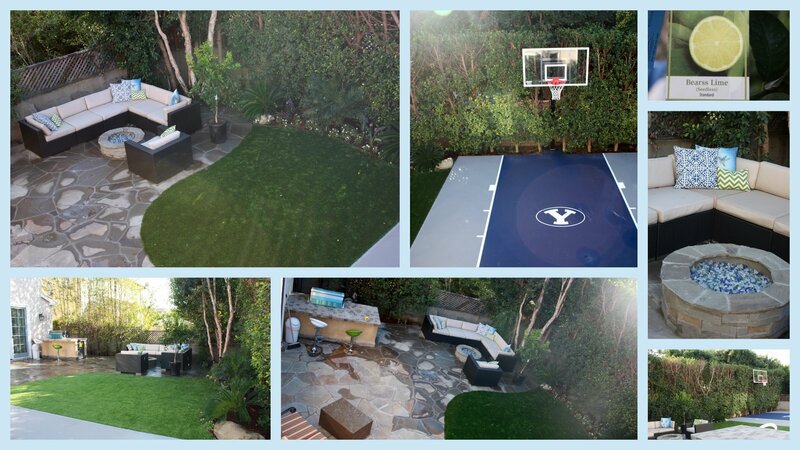 so jealous....that's a perfect backyard! yay for you! It looks amazing!! I'm SO there for some B-ball!!! Who wants to get Jimmered? that is soo awesome. my hubby would be super jealous of the court. looks great you guys have good taste! love it!!! how could you not. it is all so nicely put together. well done! Looks great! It seems like that got done real fast! Shut the front door! I LOVE it!! And I am dying over your cute outdoor furniture!! LOVE!! So fun! S'mores is right! Looks amazing. Good job girl!